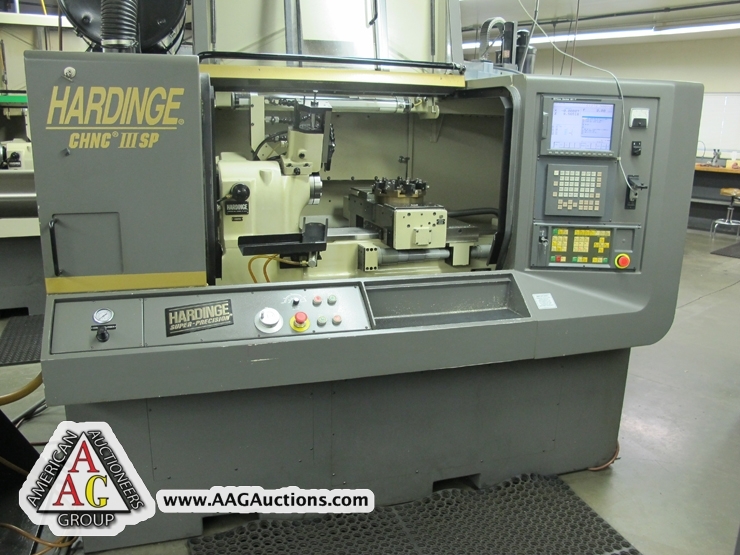 HARDINGE CHNC-III SP CNC LATHE W/ FANUC 18i-T CONTROL, S/N C3-382-SP. 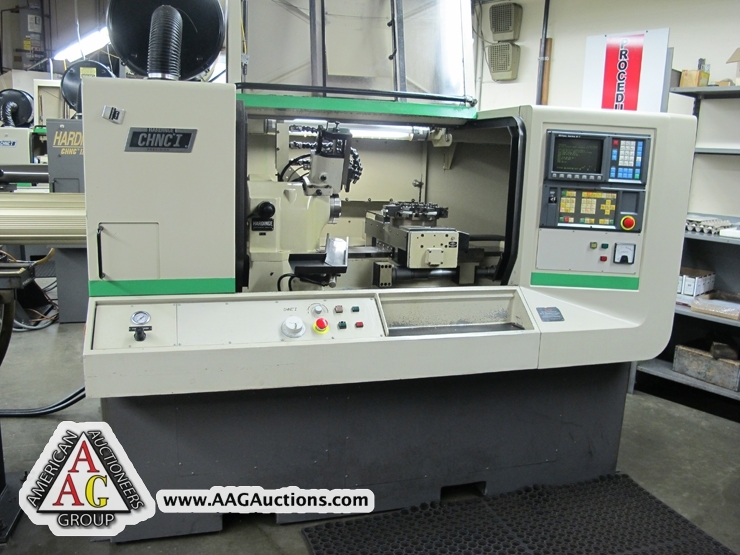 HADINGE CHNC III CNC LATHE W/ FANUC 18T CONTROL, S/N C3-249. 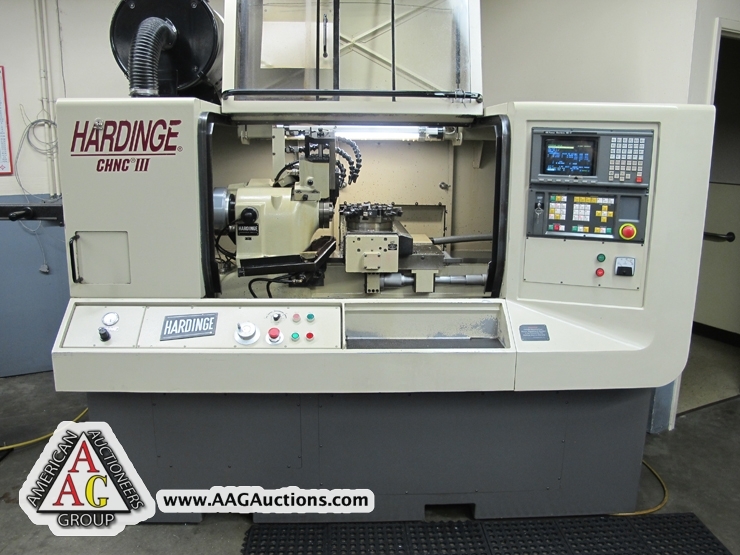 HARDINGE CHNC II CNC LATHE W/ FANUC 10TE CONTROL, S/N CN-2176-A2-16. 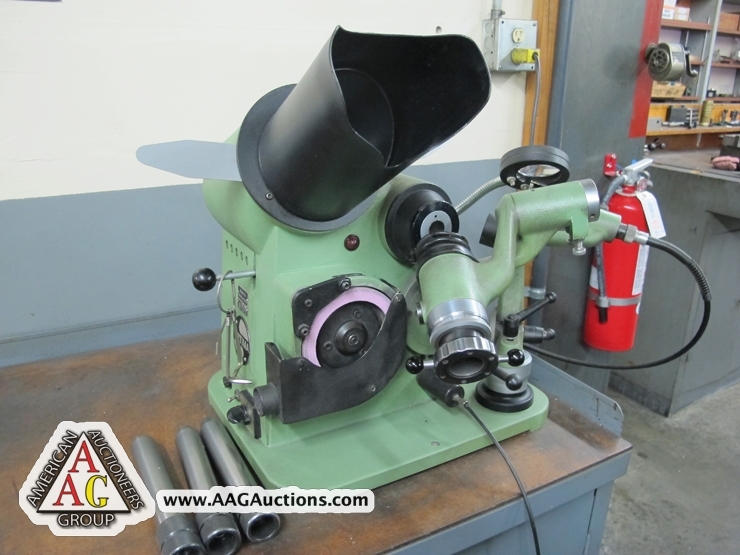 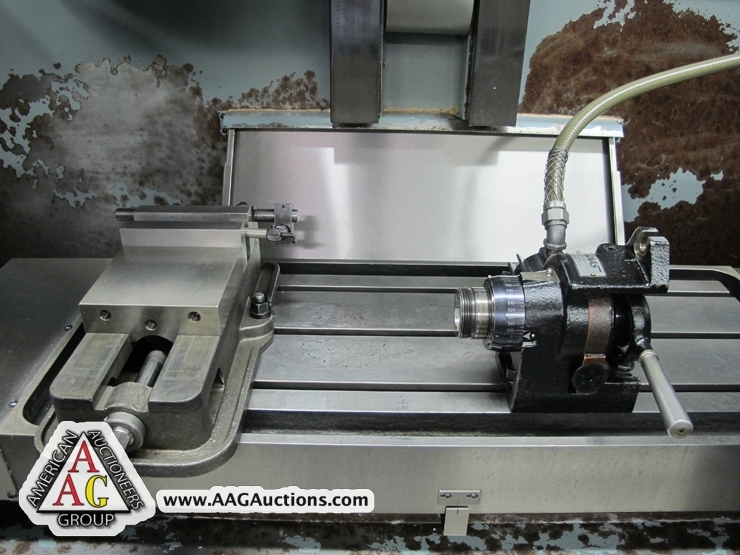 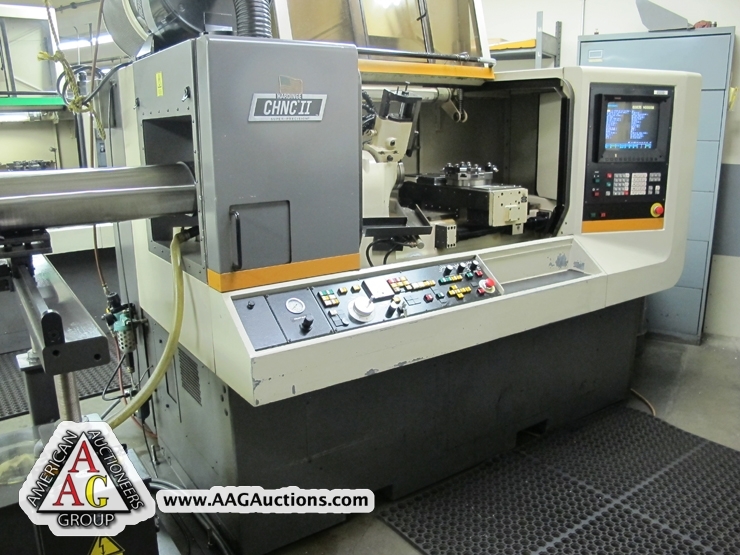 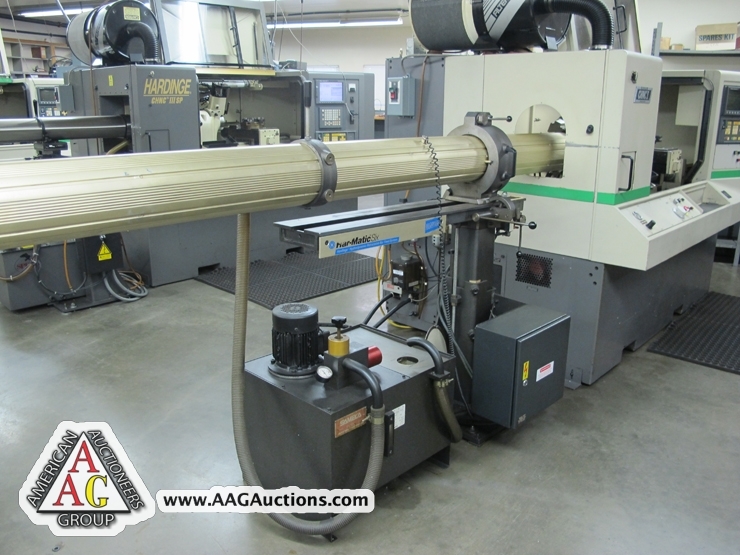 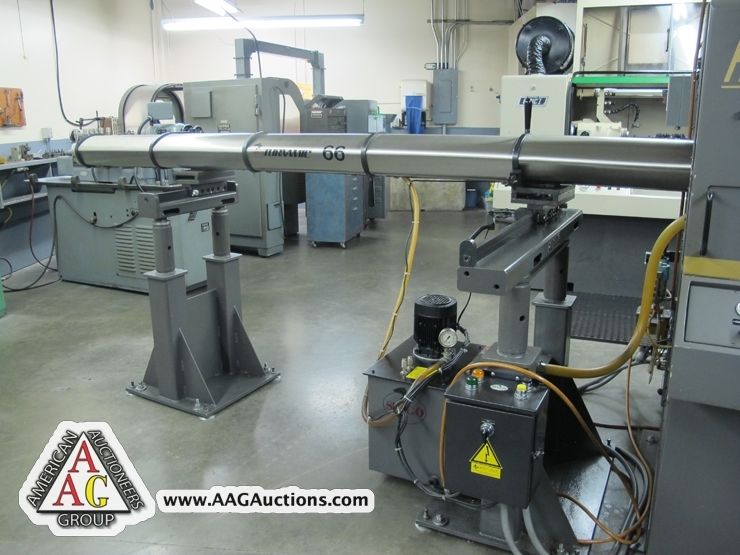 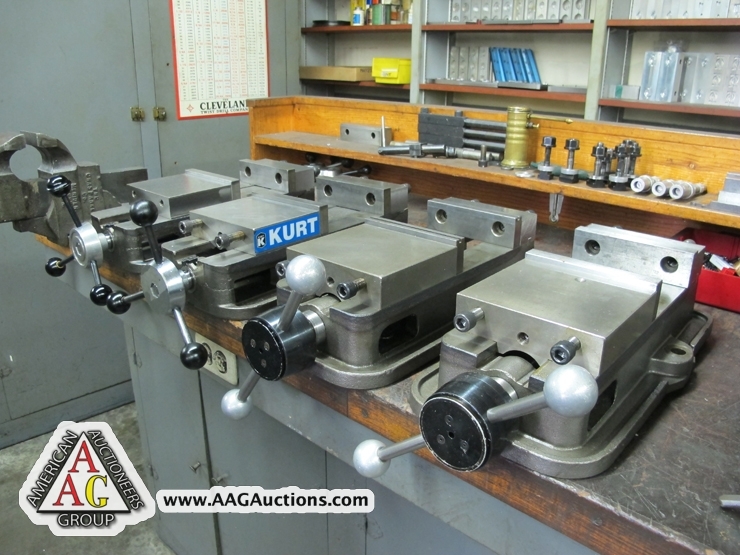 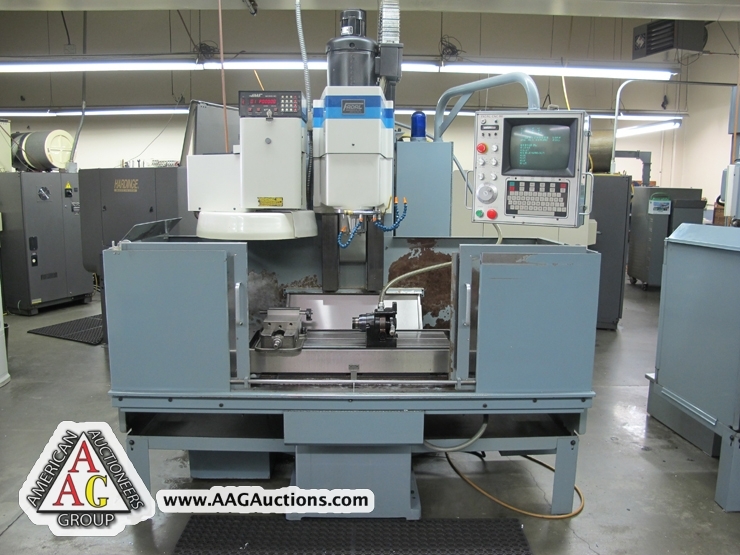 3) HARDINGE CHNC-I CNC LATHE W/ FANUC OT CONTROL, S/N CN-4447-T, CN-4614-T-C, CN-3036-T.
2) SPEGO TURNAMIC HYD BAR FEED 66, 1 5/8’’ CAP, 6 POSITION BAR FEEDS. 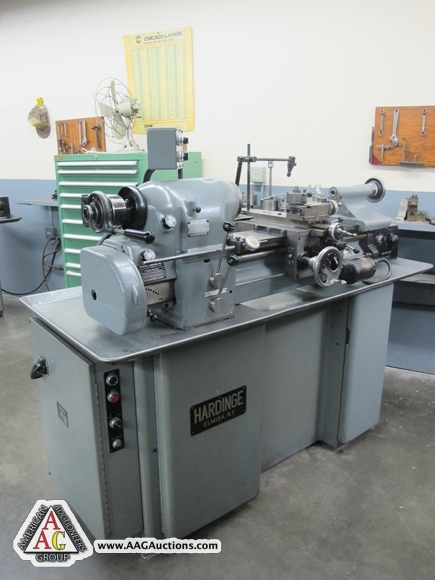 HARMATIC SIX POSITION HYD BAR FEED. 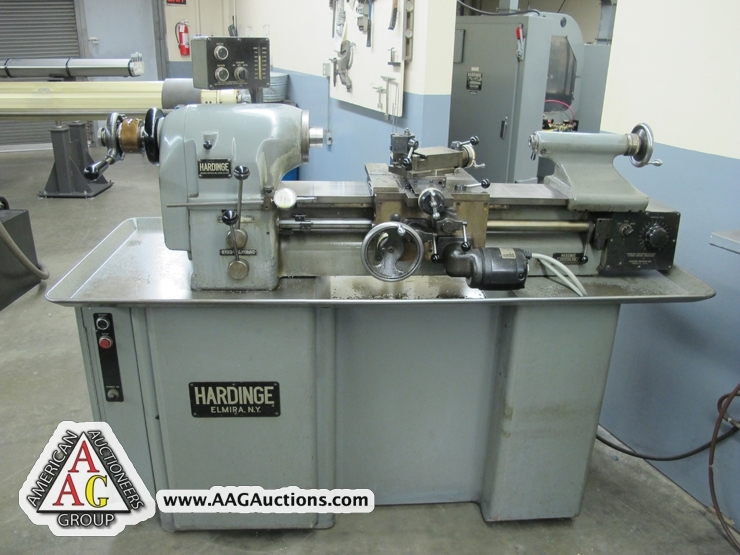 2) BAR FEEDS FOR HARDINGE LATHES. 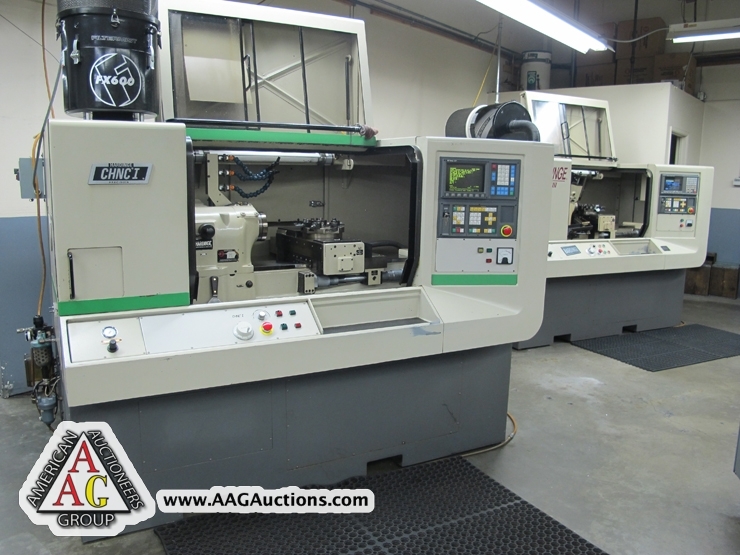 2) HARDINGE CHNC PRECISION CNC LATHES, W/ ALLEN BRADLEY 7300 CONTROLS, 16C. 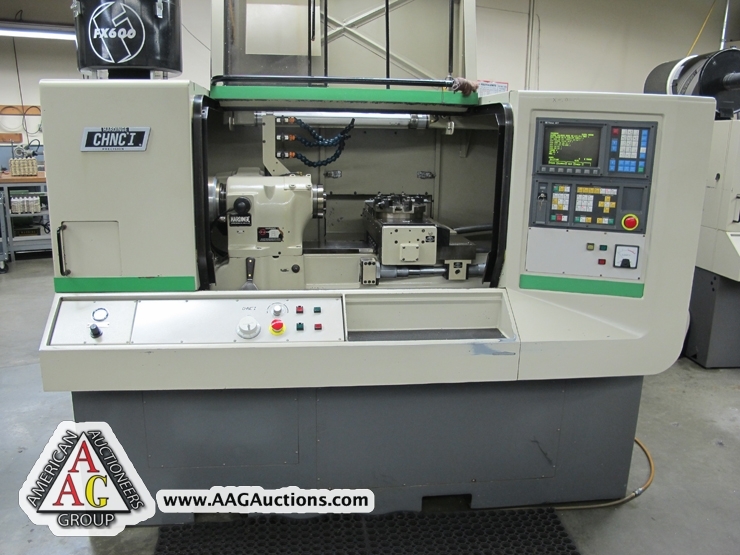 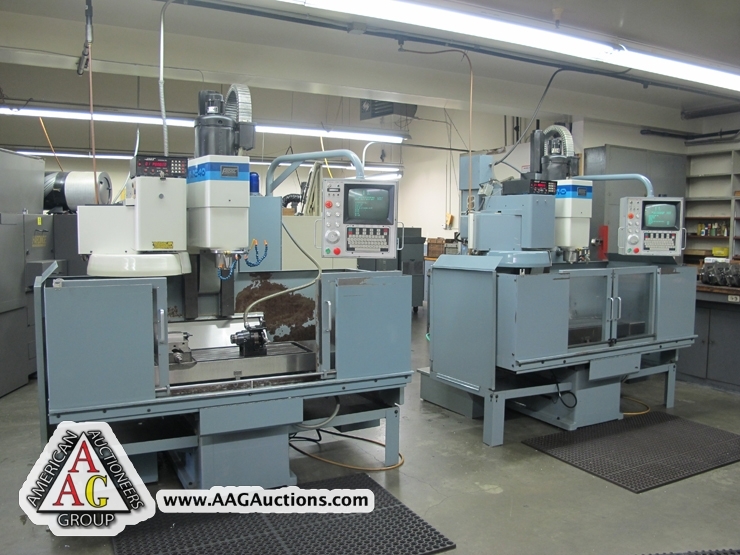 2) HARDINGE CHNC PRECISION CNC LATHES, W/ ALLLEN BRADLEY 7300 CONTROLS, 5C. 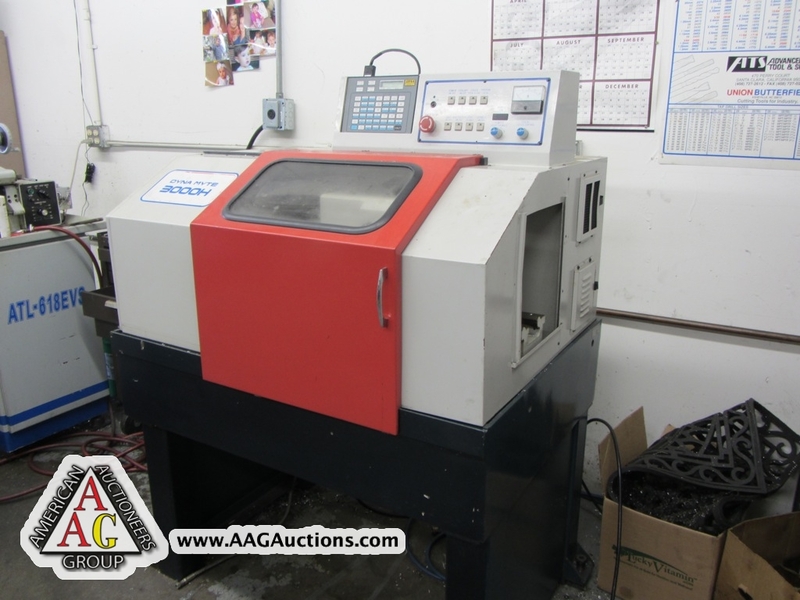 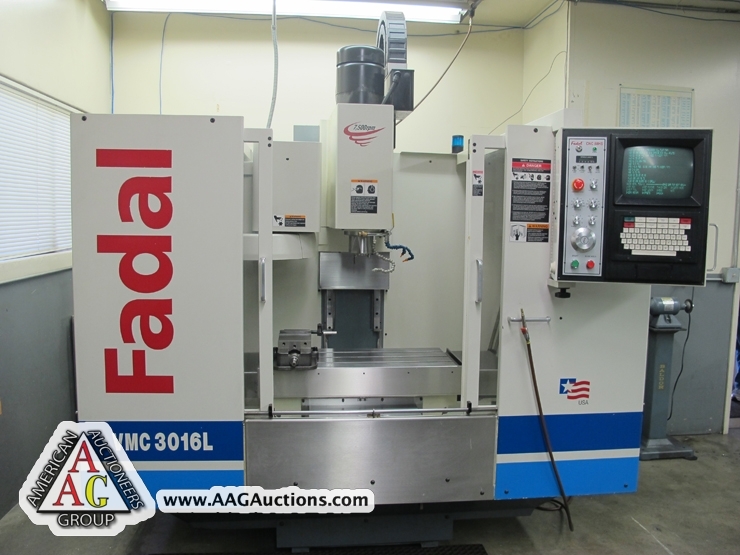 2000 FADAL VMC-3016L CNC VMC, 7500 RPM, 21 ATC, CT 40, S/N 012000020236. 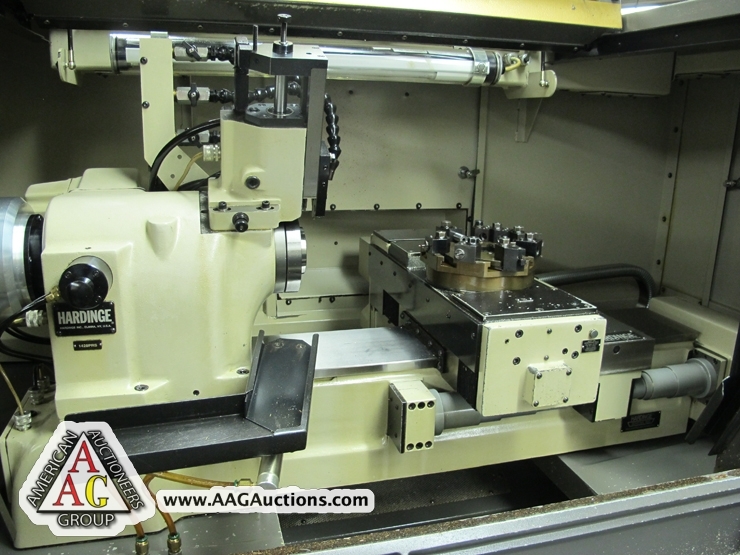 2) FADAL VMC-40 CNC VMC, CT 40, 10,000 RPM, 21 ATC, 4TH AXIS READY, S/N 8706783, 8512342. 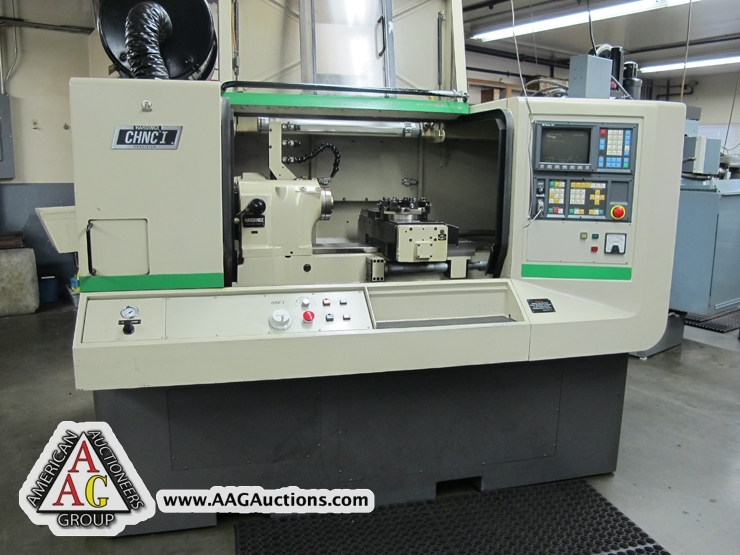 2) HAAS 5C INDEX 4TH AXIS. 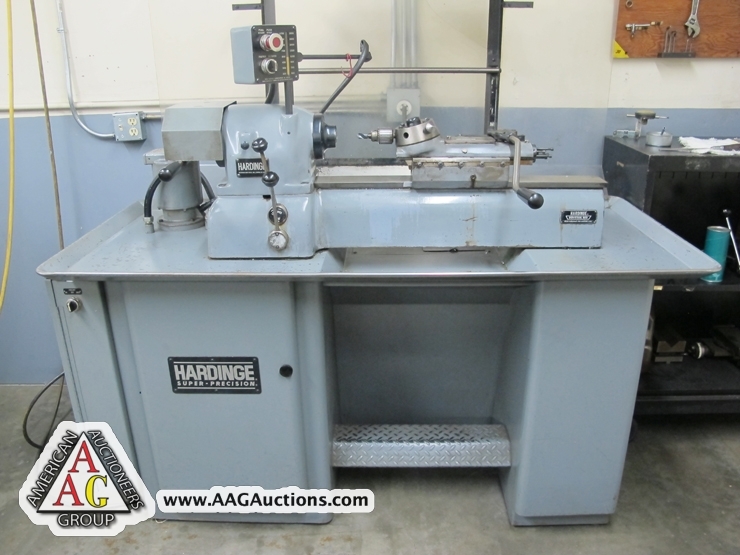 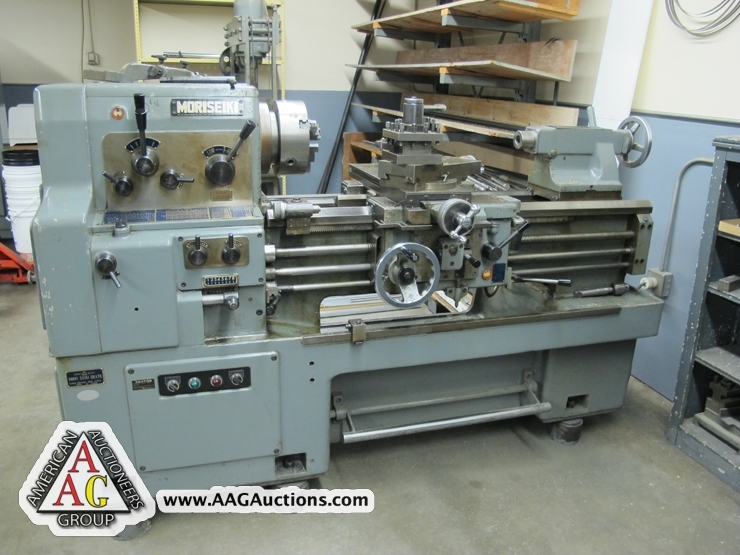 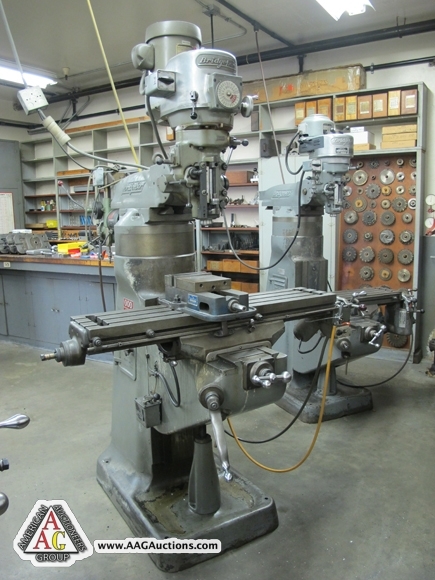 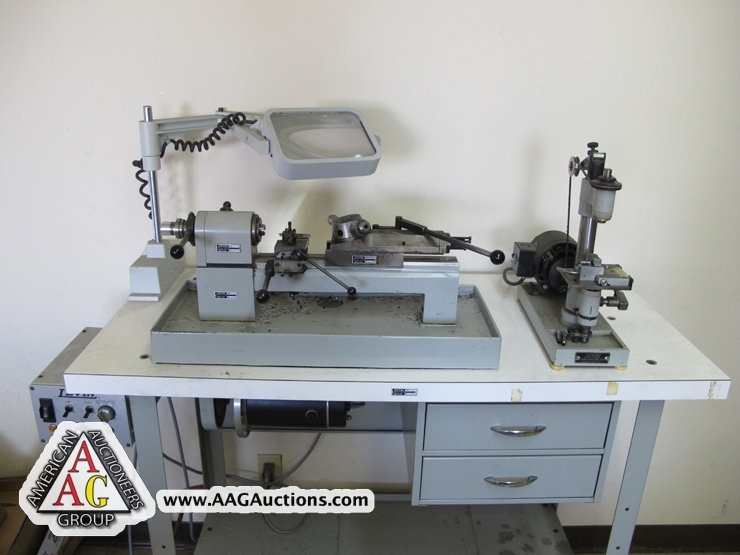 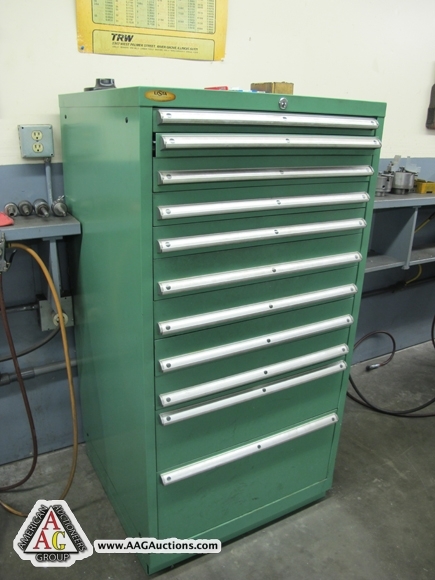 HARDINGE HLV-H TOOL ROOM LATHE W/ THREADING, TAPER ATTACHMENT, METRIC CHANGE GEAR, S/N HLVH-3788. 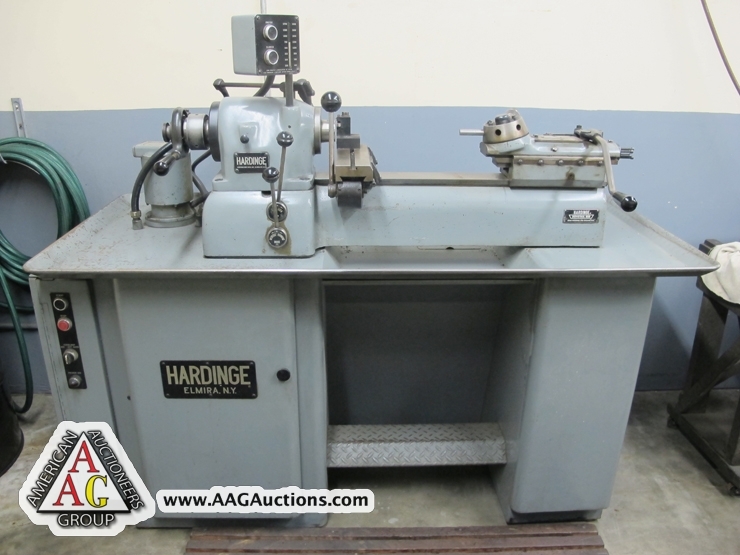 HARDINGE TBF TOOL ROOM LATHE, S/N HLV-H-4123. 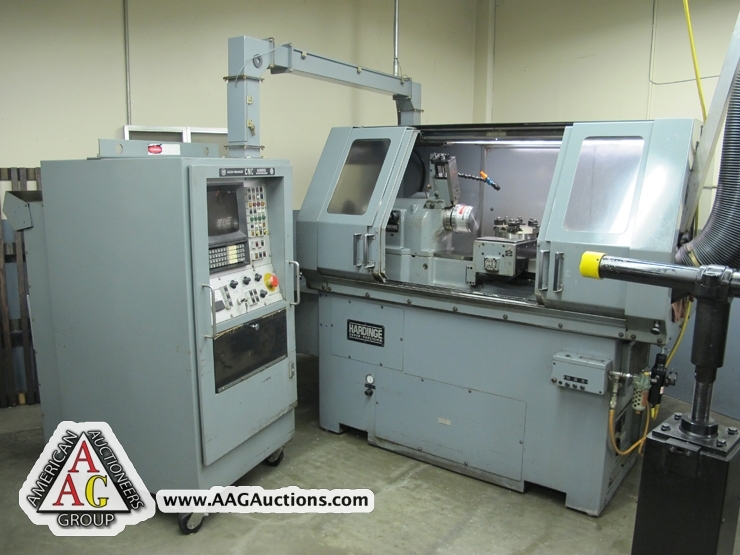 2) HARDINGE DV-59 2ND OP LATHES WITH TURRETS AND CROSS SLIDES. 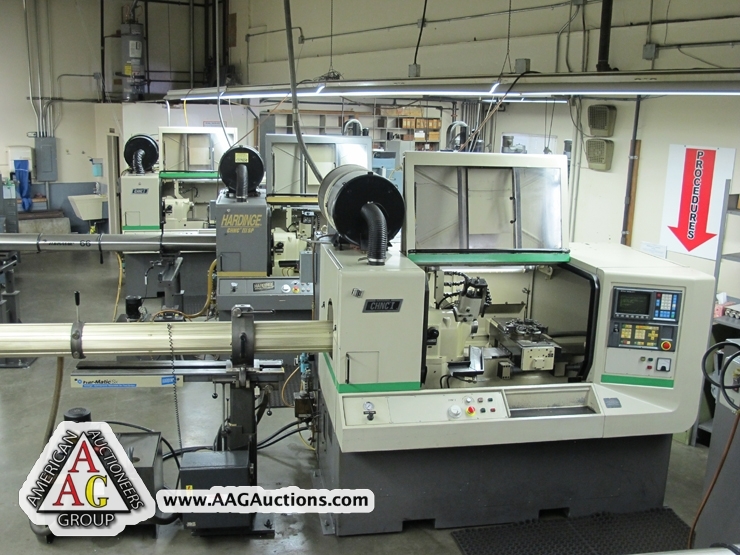 MORI SEIKI MS-850, 17 X 33 ENGINE LATHE. 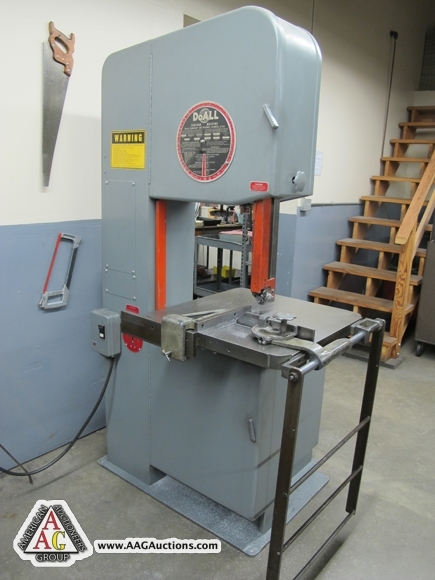 DO ALL 2013U, 20’’ VERTICAL BAND SAW. 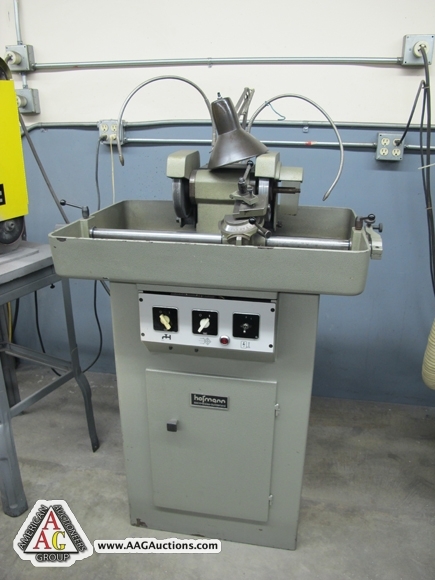 SUNNEN 1290 D HONING MACHINE. 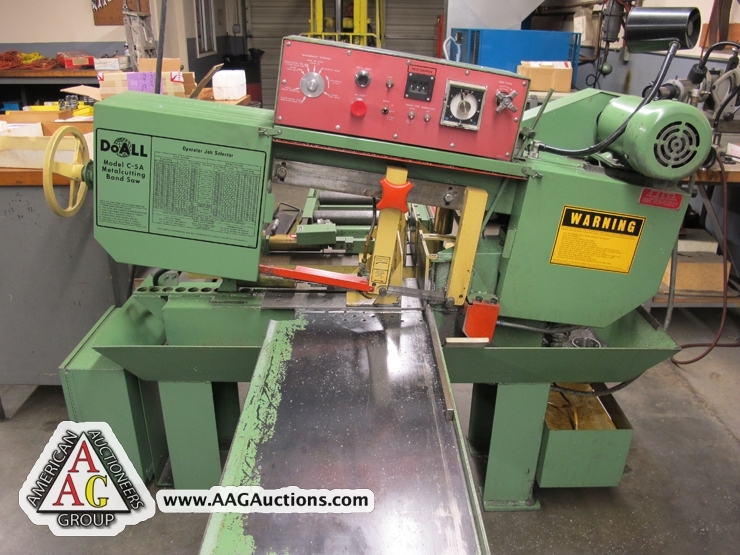 DO ALL C-5A, AUTO HORIZONTAL BAND SAW. 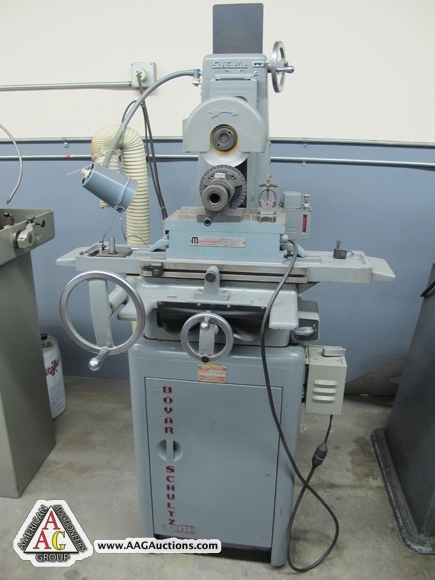 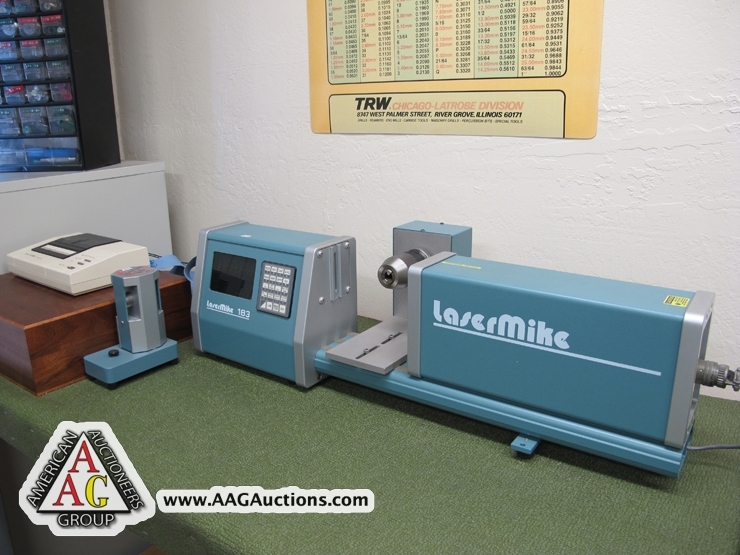 LEVIN PRECISION LATHE, S/N O7165. 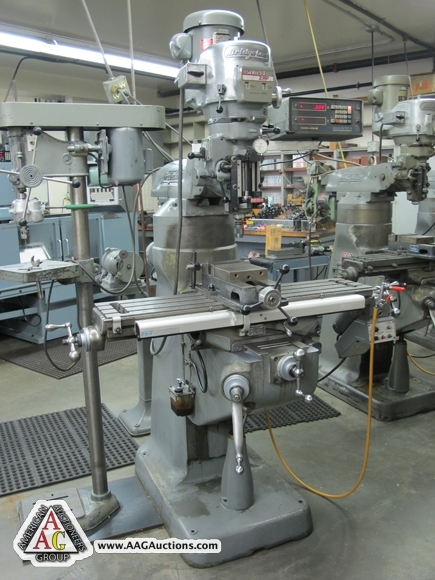 3) BRIDGEPORT VERTICAL MILLS, P.F., DRO AND CHROME WAYS. 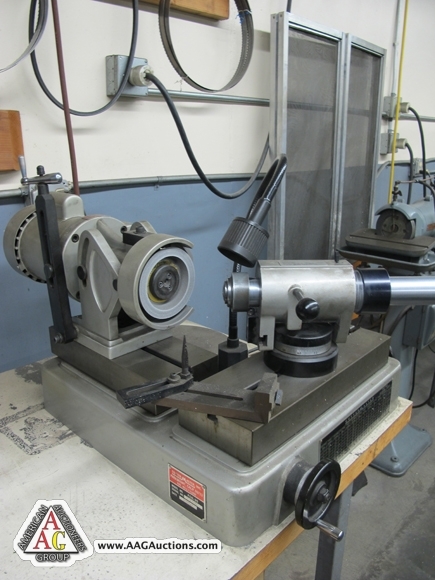 OPTIMA OPTICAL DRILL SHARPENER WITH TOOLING. 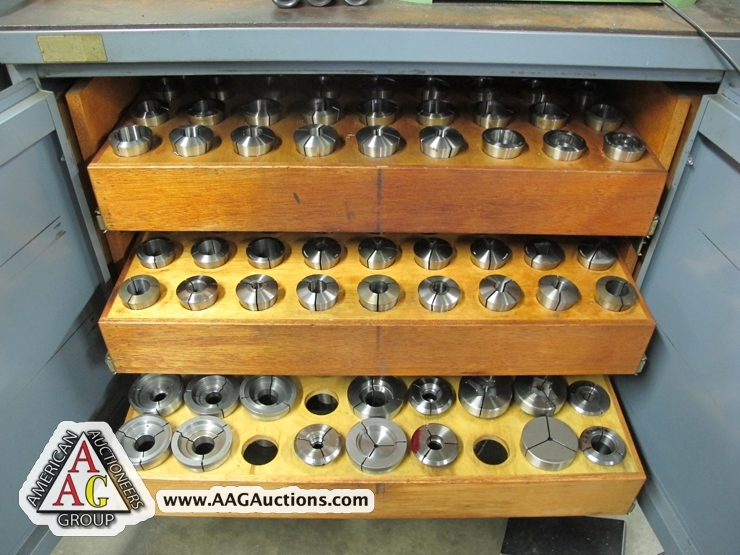 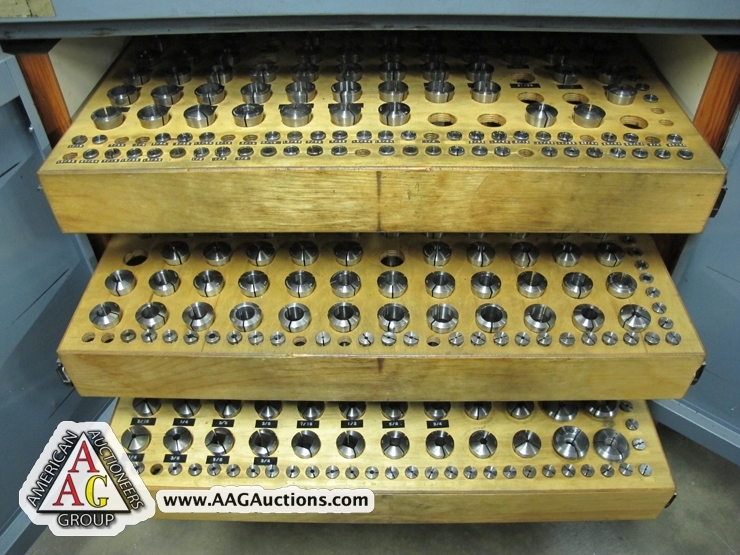 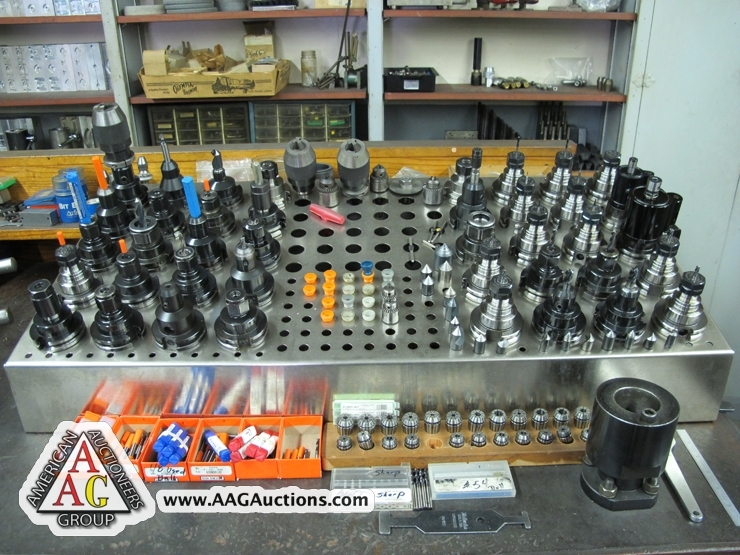 100’S OF 5C COLLETS, 16C COLLETS, DRILLS, END MILLS, KURT VISES, TOOLING, CUTTERS, INSERTS, AIR CHUCKS, AL JAWS, DRILL BUSHINGS, BUCK CHUCKS, INDEX, DIVIDING HEADS. 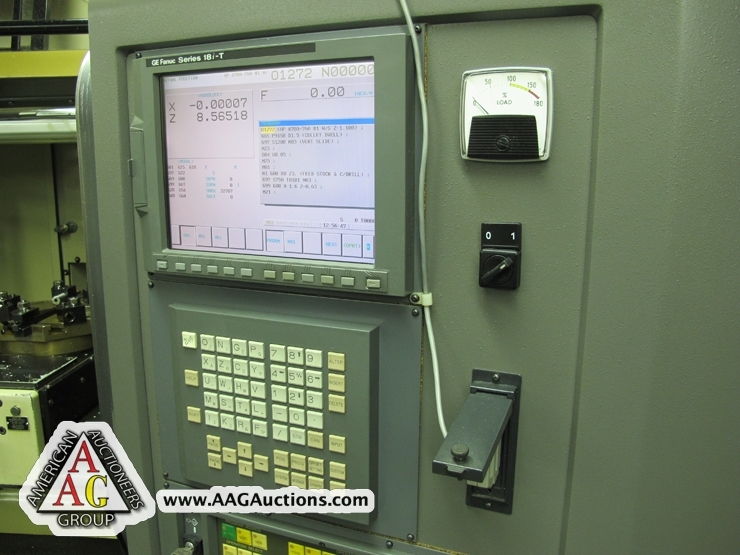 FOWLER SYLVAC DIGITAL HEIGHT GAGE. 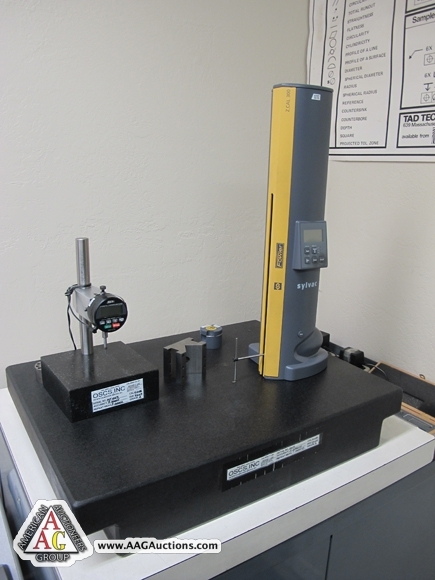 SUNNEN PG-800-S HOLE GAGE, FEDERAL HOLE GAGE. 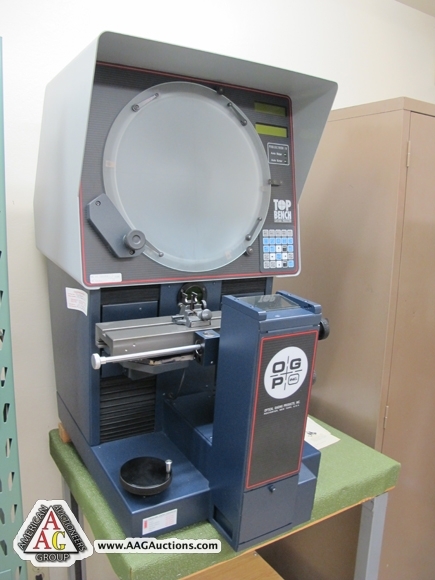 OPG 14’’ OPTICAL COMPARATOR, DIGITAL READS. 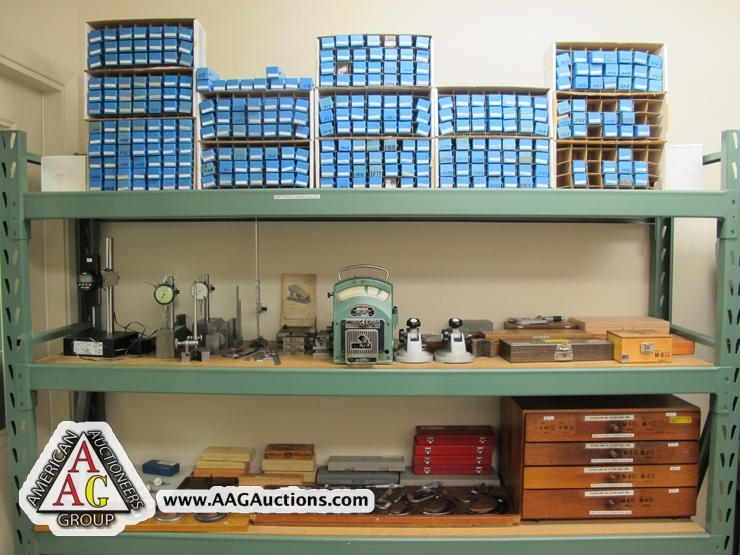 INSPECTION TOOLS, GAGES, MICS, PIN GAGES, HEIGHT GAGES. 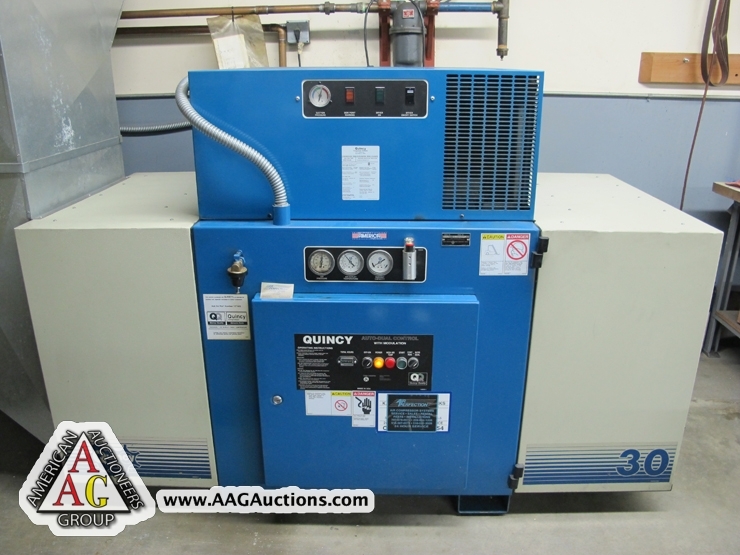 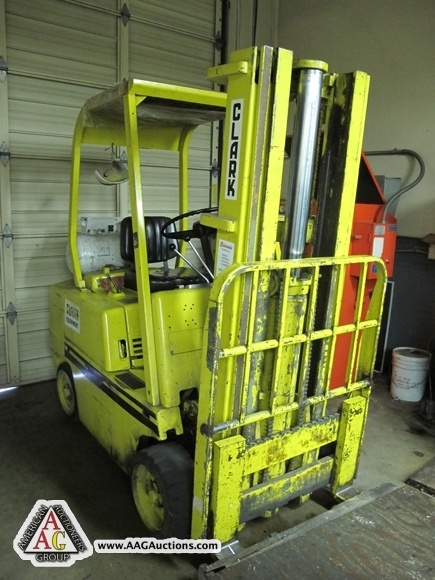 QUINCY 30 HP ROTARY AIR COMPRESSOR, WITH DRYER AND TANK. 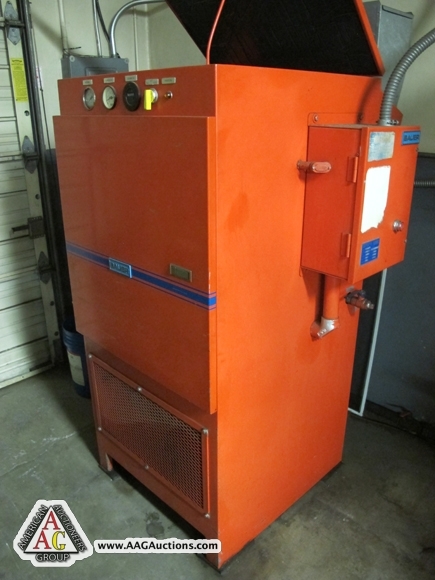 BAUER 30 HP ROTARY AIR COMPRESSOR, RC-30 MODEL.